I found this awesome skeleton hand frame at Kohls but instead of putting a picture in the acrylic frame, I printed out the sentiment onto some Sugar Cube cs and then embossed it with the Tangled Webs Embossing Folder. I used some Oreo cs for the mat and some Hocus Pocus dp to frame it all. 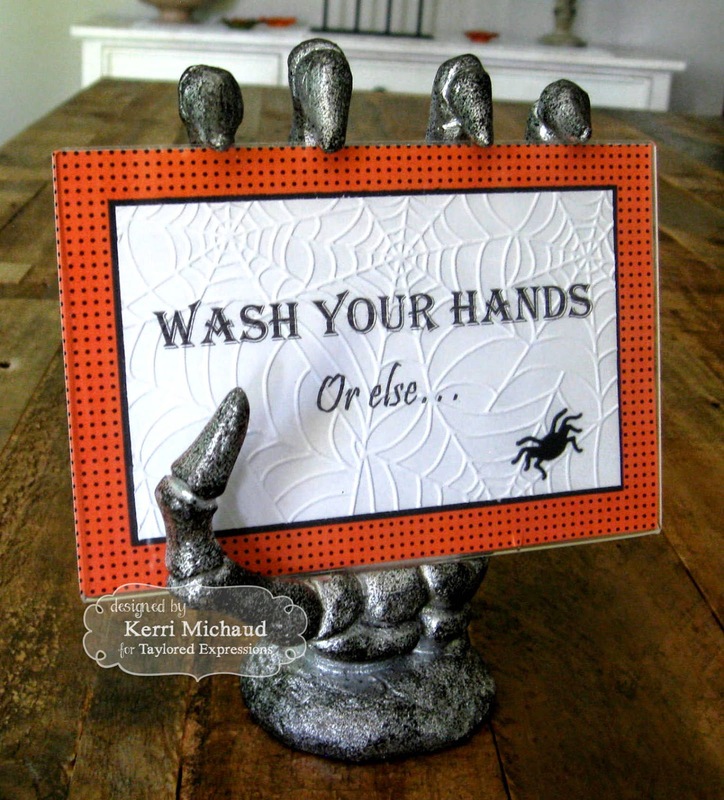 Finally I added the spooky spider die cut. 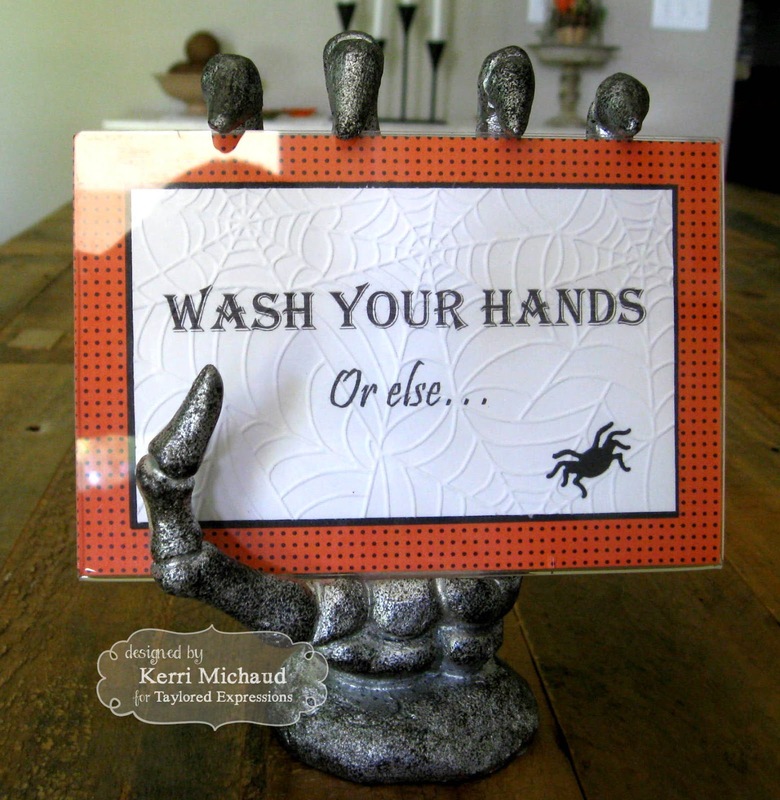 This fun frame is in my bathroom downstairs to remind my kiddos to please wash their hands LOL! You can find lots of inspiration on the Taylored Expressions Pinterest Boards HERE! That's it for me today:) Thanks for stopping by and have a great day!